Could this have something to do with the previously mentioned python update https://forum.antergos.com/topic/10416/python-broken-after-recent-update/2? Running hp-doctor referred to some python stuff (sorry, not a dev). Seems that glibc and python causing a bunch of like this issues on latest updates… Caused by Archlinux is using latest sources, and development of some stuff is a bit behind. i just can print again with replacing hplip with hplip-minimal from AUR! Yay, I can print again. @joekamprad 's suggestion works better than with the full hplip before it broke (for me, anyway). Thanks. I did so, but it didn’t help at first. Than I launched hp-setup, which resulted in printing back alive. warning: One or more print queues already exist for this device: HP_LaserJet_Professional_P_1102w. 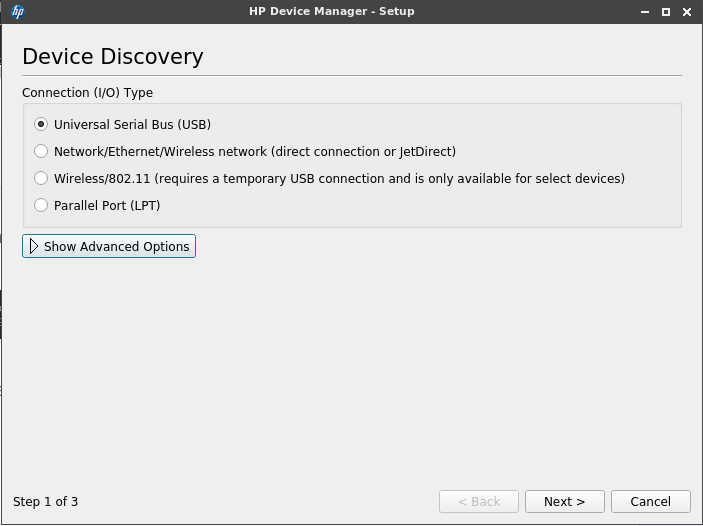 i can use hplip package version = HP Device Manager (hplip) 1:3.18.6-1 from Arch-Repo here ! so they downgrade the package from repo? @joekamprad I’m on the very same version, and it behaves differently than previous versions did: hp-setup started showing GUI again.